Softron MovieRecorder 4 is an advanced software program that allows for the simultaneous ingest and editing of live video on your Mac. This license permits a single capture stream; otherwise, the number of channels that can be captured simultaneously is only limited by your capture hardware and computer capabilities. SD, HD, and 4K video feeds are supported, and encoding is available in many different pro codecs, including AVC-Intra, DVCPRO, ProRes, DNxHD, and JPEG2000. NDI is an open, low-latency, video-over-IP protocol developed by NewTek. It uses a simple gigabit Ethernet cable to transmit video and audio over a local area network between multiple video systems. Now, thanks to NDI, you can transfer multiple channels of HD and 4K video over a simple Ethernet cable. NDI sources will show up inside MovieRecorder Express for recording. Connect to separate audio sources to ingest audio separately from the video feeds. 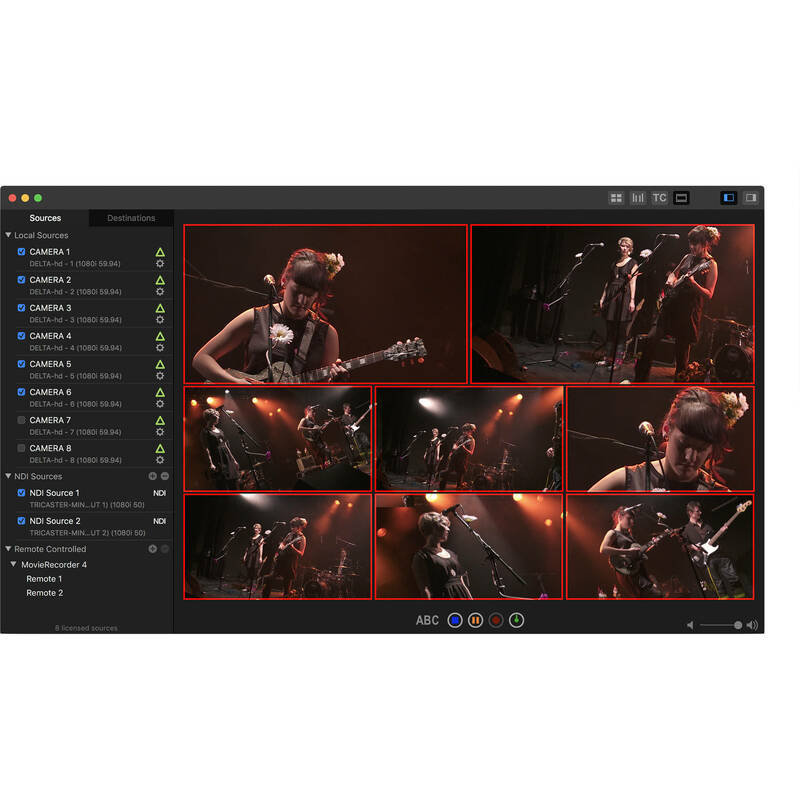 This functionality is important for recording feeds from large-format consoles in live music and presentation venues without requiring SDI embedders. MovieRecorder 4 supports all the audio sources that are available to the macOS. Coupled with the Audio Mapping available in the AVPresets, this brings a lot of flexibility to your Audio configuration. Video signals can now be cropped, deinterlaced, rotated, and resized prior to recording. Text, images, and timecode can be overlaid on video signals as well. All manipulations are "per destination", meaning one signal can have adjustments and overlays while another can be recorded clean for manipulation in post. In previous versions, CC and Pro Codecs had to be purchased as a separate add-on. 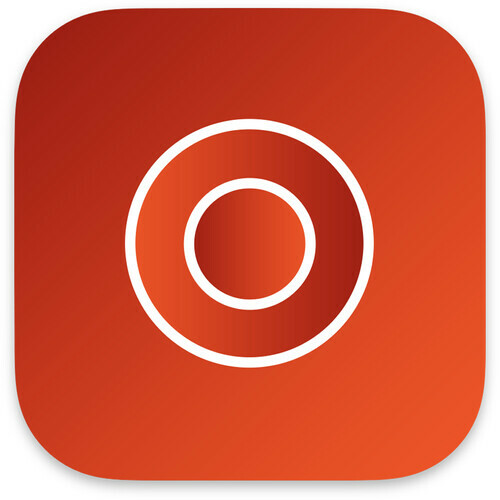 MovieRecorder 4 includes CC and Pro Codecs. Pro Codecs allow you enclose your recordings in the industry-standard MXF wrapper and record to AVC-Intra, DV/DVCPRO, DNxHD, IMX, JPEG2000, XDCAM or XAVC. Customize the display with multiple viewers' sizes and positions to fit your workflow. Select the number of viewers you want to display at once, and then choose the layout that best suits your needs. MovieRecorder comes with a whole set of preconfigured layouts, but you can also customize them yourself. More efficient than the preceding H.264 codec, H.265 allows for higher quality video and smaller file sizes. HEVC encoding requires macOS 10.13 running 6th-generation Intel Core processors, or newer, which can hardware-accelerate the encoding process. The ability to schedule recordings can greatly improve productivity. With MovieRecorder Express, scheduled recording is like programming your DVR. It is integrated right into the program and you can schedule recordings to automatically start at a specified time, by date, or day(s) of the week. When time is money, users very often need their media to be "edit-ready" even while the event that is being recorded continues. This allows editors to start working on growing files during the show, so that they can be done editing sooner, and sometimes even before the show ends. This can, for example, be used for shows where you want to have a short summary ready at the end of the show. Files created by MovieRecorder Express can grow in Apple's Final Cut Pro or Adobe's Premiere Pro software programs. Using the separately available GPICommander and SerialCommander, you can use MovieRecorder 4 to trigger external GPI devices or command RS422 video decks with your Mac.